I finally found the Sprouts in Colorado Springs so we are finally really well stocked on fruits, including a very yummy watermelon. While cutting it up tonight, I had to play around a little bit and we had a watermelon and cantaloupe panda. I cut a thin slice of watermelon first, then cut that with my CutezCute cutter. I used the panda impression to take out the face shape then again on a piece of cantaloupe to switch out the pieces. The kids were entertained, and the panda was eaten shortly after the photo was taken. 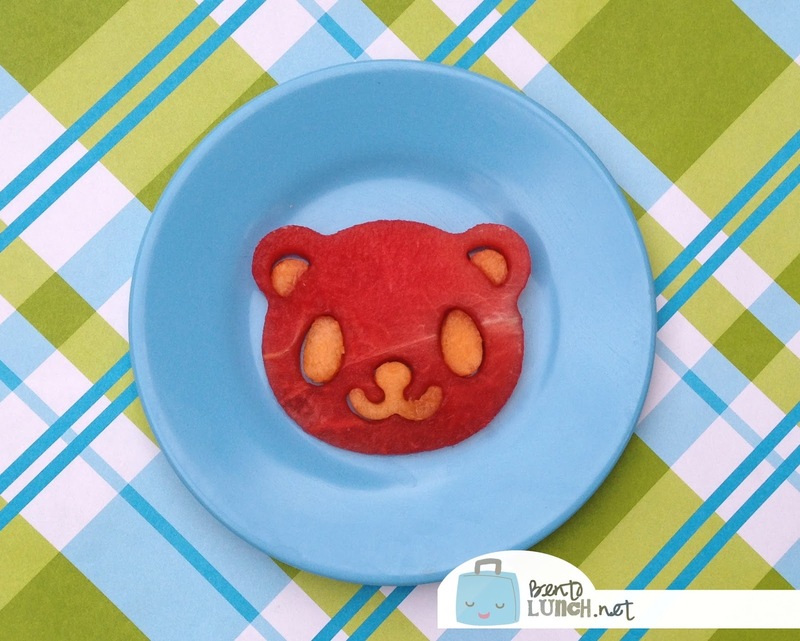 Adorable and such a great way to use the CuteZCute cutter!